College goes something like this: Party, party, work, party, work, work, party, study, study, party. But what can you do when you want to break away from this routine? Fortunately for University of Maryland students, you’ll find so much to explore in the surrounding areas when you need to give your head a break from studying and your wallet a rest from all those bar cover charges. Why? Because the DMV, AKA the D.C., Maryland and Virginia area, has everything. And don’t worry, we won’t take you through all the D.C. monuments that you probably saw in middle school. Give the bars a rest and go out to explore these 10 DMV-area locations around UMD. If you want a glorified version of your small hometown, go to Georgetown. With its cobblestone streets and high-end shops close to the Potomac River, this place seems like a cappuccino from an independently owned café compared to your hometown Dunkin coffee. Speaking of cafés, avoid the tourist-ridden line at Georgetown Cupcakes and hit up Baked and Wired. “I love flapjack [cupcakes] and the chocolate cupcake of doom,” said UMD junior Megan Gigliotti. “But my absolute favorite is their red velvet.” Don’t have a demanding sweet tooth? “Georgetown also has a really good nightlife, cool trails that run along the Potomac, the stairways from The Exorcist, Georgetown Park and more,” said New York University senior Chelsea Rivera. Seriously, when avoiding your eight page paper, Georgetown can keep you entertained for hours. Despite the fact that Student Entertainment Events (SEE) at UMD schedules on-campus musical performances, sometimes they just don’t cut it. Or worse, artists cancel last minute (Ty Dolla $ign, I’m talking to you). Instead, go to U Street Music Hall, located within the U Street corridor. 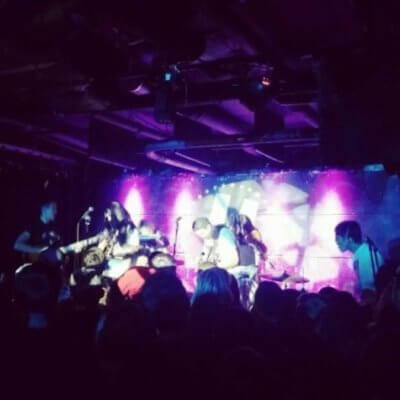 “It’s a cool basement concert venue in D.C. that brings in smaller names,” said UMD sophomore Julia Hall. “I saw the Mowglis and Colony House there last year. I already have tickets to see Moon Taxi and Quinn XCII for next year.” Not only does the U Street Corridor house great concerts, but this nine-block street is chock-full of restaurants, art galleries, shops and other nightclubs. Start looking for tickets to U Street Music Hall shows now instead of pretending to do homework on your computer. We know you can’t resist. 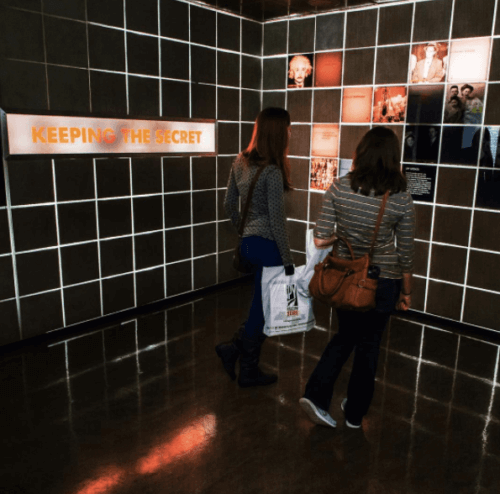 Tap into your inner James Bond and explore the only public museum in the United States dedicated to the field of espionage. At this museum, you’ll see hundreds of international spy gadgets on display such as a lipstick pistol, Enigma cipher machine, concealment devices, counterfeit currency and more. But it doesn’t end with that. Learn about the earliest spy codes, test your surveillance skills, read about espionage involvement in past wars and buy your own spy pen camcorder in the gift shop. Want a more hands-on experience? You can also participate in interactive spy experiences. “Operation Spy,” a one-hour mission, tests your spy abilities and keeps you on your toes. Who would want to pass up the opportunity to be a spy for the day? We don’t mean actually get lost (wouldn’t want that to happen). But do let your imagination wander at one of the capital’s most amazing art galleries. The Phillip’s Collection, where UMD students get free admission, is hailed as “America’s First Museum of Modern Art.” UMD sophomore Camille Stacho’s favorite exhibit in the Phillip’s Collection museum is the Rothko Room, which features four pieces of artwork from painter Mark Rothko. “Only eight people are allowed in the room at a time,” she said. This intimate exhibit is the only existing installation designed in collaboration with Rothko himself. “They also have another small room where all the walls are entirely covered in wax,” Stacho said. The Laib Wax Room features beeswax-covered walls illuminated by a single lightbulb. 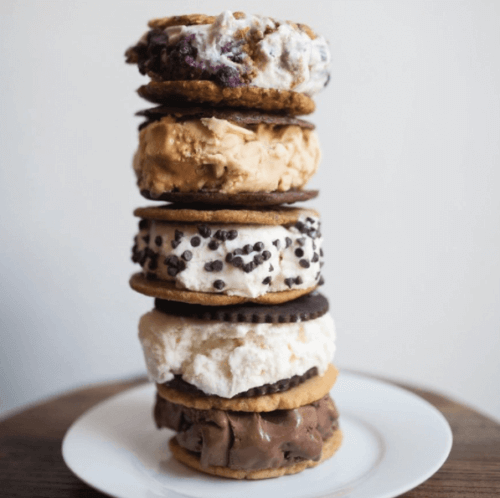 Your VSCO feed will thank you later. If you go to UMD, you probably love sports (at least I hope you do because we are in the Big 10). But the fun doesn’t end after football and tailgate #szn end. 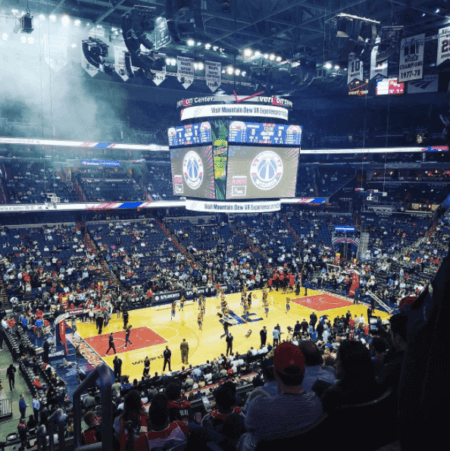 Situated right in the heart of Chinatown is the Verizon Center, home to the Washington Capitals and Wizards. With a simple metro card swipe, you can take the green line to Branch Avenue from the College Park Metro station and ride all the way to the Gallery Place—Chinatown stop and, voila. It will never be easier for you to enjoy some great vegetable lo mein and watch a good ol’ game. You don’t have to worry about becoming too much of a city slicker if you go to UMD. 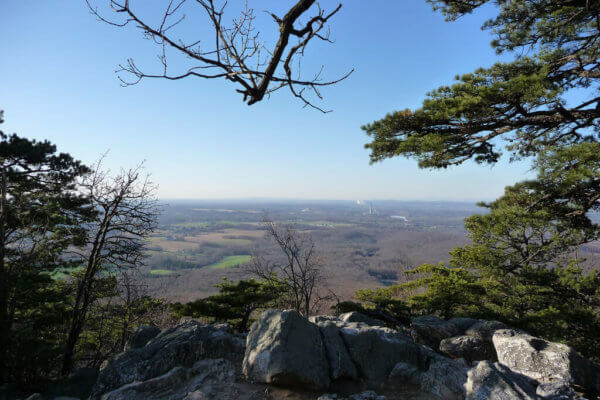 Thanks to Sugarloaf Mountain in Frederick County, Maryland, you can stay in touch with nature despite living right outside the nation’s capital. Although it’s about an hour drive from campus, the views at the top make the already easy trek worthwhile. Want to hike somewhere a bit closer? Try Billy Goat Trail, a beautiful 4.7-mile path that runs along the C&O Canal and the Potomac River, only 30 minutes outside of College Park. And it can count as a legit study break, since spending time outside helps you focus on your schoolwork. Yes. Please. During the day see the animals. During winter nights, walk under scintillating string lights during the zoo’s annual ZooLights event. “I love the zoo. 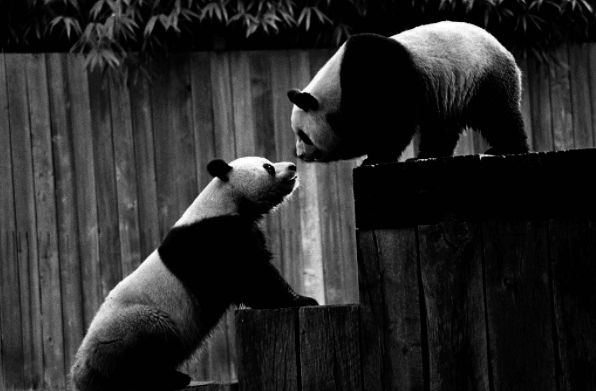 They have so many pandas and I just run to them,” said UMD junior Nikki Singh. “And they have such cool animals there from all over the world.” Other animals include Asian elephants, lions, cheetahs, various monkeys, tigers and zebras. Other exhibits include the Small Mammal House and the Reptile Discovery Center. The zoo is open 364 days a year and admission is free for everyone. At school, you might be getting too used to seeing those cute farm animals on Farm Drive, although that’s nearly impossible. If so, switch it up and check out different mammals, in addition to reptiles and sea creatures and birds, at the National Zoo. 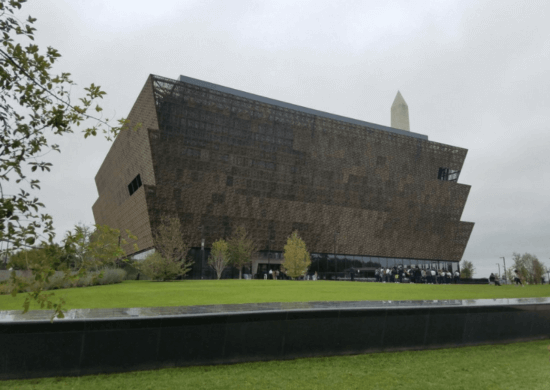 The National Museum of African-American History and Culture (NMAAHC) was recently added to the long list of free Smithsonian museums in D.C. At this museum you can find countless exhibits featuring African-American history with themes of sports, music, visual art, slavery and freedom and cultural expressions. Check out the museum’s Collection Stories, which consist of the NMAAHC staff’s interpretations of the museum collections. The museum also features an artifact collection called Many Lenses, which allows visitors to see Smithsonian collections at a different perspective: Through the eyes of the museum staff. They collect, preserve, interpret and display these objects for the public. Why not be one of the first of your friends to check out this captivating cultural and historical experience? 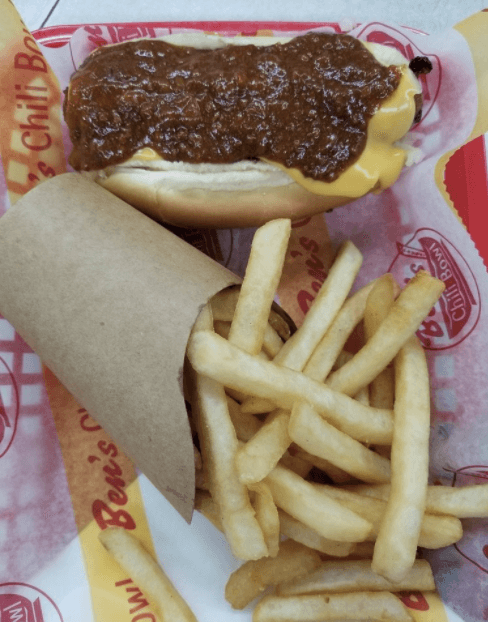 Nothing beats the great taste of your mom’s homemade chili during cold months, except for the taste of chili at Ben’s Chili Bowl. Established in 1985, Ben’s Chili Bowl serves chili bowls, chili dogs, burgers, fries and breakfast options (such as the “Bacon Breakfast” which comes with eggs, bacon and other comfort foods like grits). Want to go there but your friend is uber healthy? Drag them there anyway. Ben’s Chili Bowl also serves veggie options, such as salad bowls, veggie chili and veggie dogs. Although four Ben’s Chili Bowls exist in the DMV, you should visit the original on U Street. Enjoy a classic chili dog while admiring a larger-than-life mural painting of Barack and Michelle Obama on Ben’s wall outside. If bustling city scenes exhaust you but you still enjoy all that cities have to offer, give Bethesda Row a try. A 30-minute Uber or Metro ride from UMD’s College Park campus, you can shop, eat and relax to your heart’s desire at Bethesda. What does Bethesda have, exactly? Undoubtedly some of your favorites: Cava Mezze Grill, Mamma Lucia, Georgetown Cupcake, Barnes & Noble, Francesca’s, Lululemon Athletica and so much more. Kill two birds with one stone. 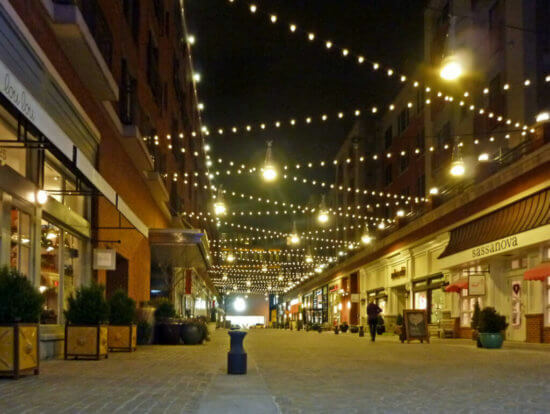 Enjoy all Bethesda Row has to offer under illuminated, tree-lined and walkable streets and take Instagram-worthy pics of your delicious meal, you and your friends or the streets themselves.